Astronomers, including a team member from NASA’s Jet Propulsion Laboratory in Pasadena, Calif., have detected the first population of radio bursts known to originate from galaxies beyond our own Milky Way. The sources of the light bursts are unknown, but cataclysmic events, such as merging or exploding stars, are likely the triggers. A radio burst is a quick surge of light from a point on the sky, made up of longer wavelengths in the radio portion of the light spectrum. A single radio burst was detected about six years ago, but researchers were unclear about whether it came from within or beyond our galaxy. The new radio-burst detections — four in total — are from billions of light-years away, erasing any doubt that the phenomenon is real. The discovery, described in the July 4 issue of the journal Science, comes from an international team that used the Parkes Observatory in Australia. Spolaor developed the software used to seek single pulses in the radio data and pick out genuine signals from local interference sources — such as cell phones, spark plugs and aircraft. This amounted to an enormous and complex computational task. The findings open the door to studying an entirely new class of eruptive cosmic events and can also help with cosmology mysteries, for example, about the nature of matter in the universe. Our sky is full of flares and bursts of varying natures. For instance, gamma-ray bursts are thought to occur when stars collapse into black holes. 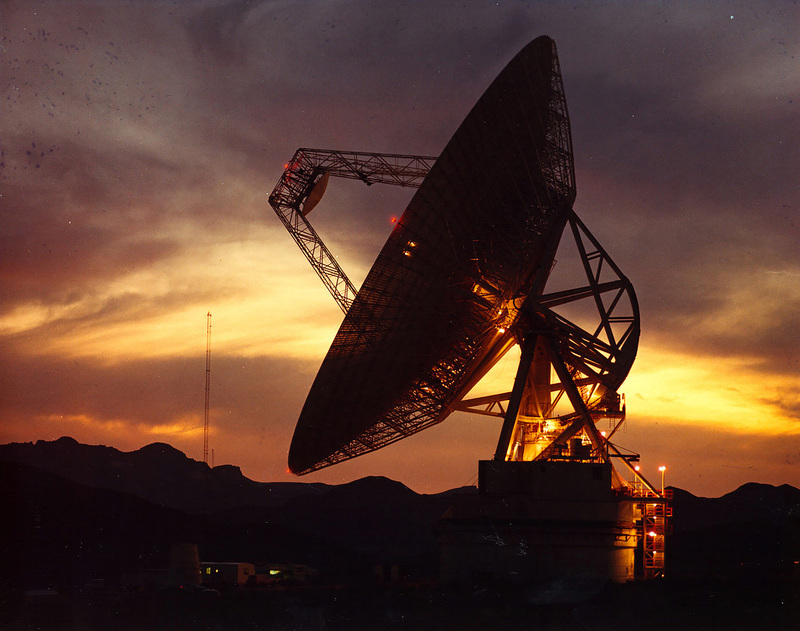 They are routinely detected by a network of telescopes on the ground and in space, including NASA’s Swift and Fermi. When one telescope in the network detects a burst, it can notify others to quickly slew to the target for coordinated observations. The newfound radio bursts, while likely of a different origin than gamma-ray bursts, also consist of light waves generated by powerful events happening at great distances. Researchers would like to develop systems similar to the gamma-ray burst networks of telescopes to follow up quickly on radio bursts, but this is more challenging because radio waves are slowed by gas in space. Time is needed to process the radio observations and tease out the short-lived bursts. On the other hand, the fact that radio waves are impeded as they travel through space to reach us offers benefits. By studying how the radio waves have been slowed, scientists can better understand baryonic matter, the material that gets in the way. Baryonic matter is what makes up people and planets and everything you see. The rest of the universe consists of mysterious substances called dark matter and dark energy. Exactly what is triggering the release of the radio waves is unknown. Theories include colliding neutron stars or black holes; evaporating black holes; and stellar explosions called supernovae. The new data do not fit nicely with any of these scenarios, leaving the scientists perplexed.